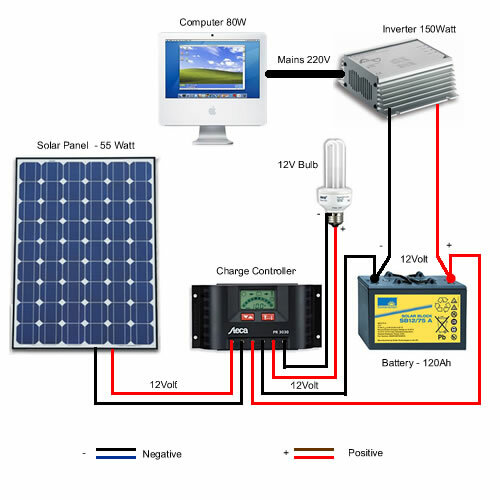 The charge controller is the heart of any solar power system like this. It takes the power from the solar panels and charges the battery in a precisely controlled way. Not too much if it’s full and plenty of power if it’s low in charge. Batteries can be expensive so it’s worth having something that looks after them! The diagram also shows an inverter attached to the battery. The inverter converts the battery voltage into mains voltage so you can run things like computers, lighting or other mains voltage appliances from the solar power stored in the battery. 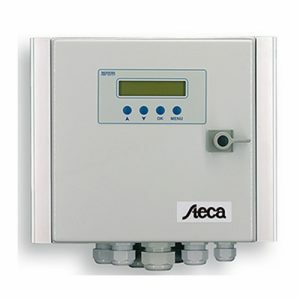 Some solar panel charge controllers have a low voltage DC output where you can connect 12 or 24 volt lighting. 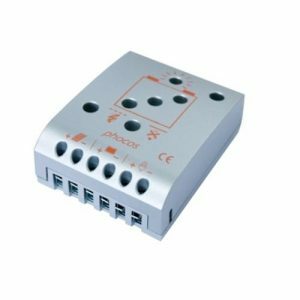 This output is regulated by the controller so if it senses that the battery is running low it automatically turns this output off to protect the battery from being damaged by deep discharge.